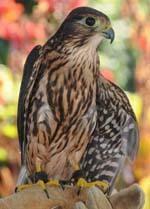 KwaPai, a Red Shouldered Hawk and Guinevere, a Merlin Falcon. Take a photo with each, ask questions and learn about our favorite birds of prey! The event will be held at the patio adjacent to the store. Please stop by to see them and learn.